Telford Webs (Telford Websites) does not offer Website creation or Website Hosting services, but we are pleased to promote and serve reputable Website Creation and Website hosting companies who serve Telford and who design websites for Telford companies, create websites for Telford companies, maintain websites for Telford companies and promote websites for Telford companies. Inclusion in Telford Webs promotes clients Telford businesses, promotes clients web sites and can improve the Search Engine ranking of clients Websites. 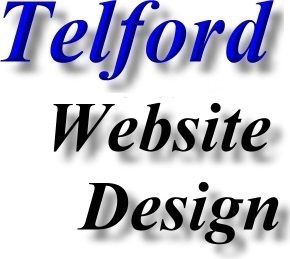 Telford based Website Design Services. The aim of Activ Website Design is to offer you a professional, affordable, fixed price web solution. Activ Website Design are not like most other web designers out there - and will not be trying to confuse you with technical jargon, instead Activ Website Design will make the whole process as simple and hassle free as possible. Activ Website Design want to work closely with you to create a website we are both proud of which will benefit your business / organisation for years to come. Activ Website Design transparent fixed pricing structure of either £499 or £999 is an attempt to change the common perception that web design services are often over priced and confusing. But that's not all, Activ Website Design would welcome the opportunity to come and meet with you to discuss your requirements and explain exactly how an Activ website will benefit you & your business. 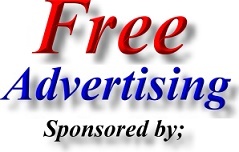 If you would like to arrange a free, no obligation web consultation please contact Activ Website Design. What's more Activ Website Design will only charge you one fee for your website! That is it, there are no other costs! Regardless of the size of website you require this is all you will pay. Bridgnorth (Shropshire) Website Design - Website Creation Services. Address; Clicking Mad Website Design, Waterloo House, Castle Terrace, Bridgnorth, Shropshire. WV16 4AH. The Clicking Mad Website design work process is as follows: 1.On-site visit – to learn about client’s business. 2.Client’s Brief – requirements of Website and expectations. 3.Proposal to a client – simple document with solutions & prices. 4.Agreement – project agreed upon – flow suggested. 5.Website – design concept agreed, site functionality developed. 6.Meeting – new website presented to the client, final changes agreed. 7.Website goes live – hosting ready, domain name transfer/register completed. 8.On-going SEO – search engine ranking, FREE on-going support provided. Website Design - Website Creation Services in Dawley Telford. Address; Dawley Website Design, 9 Springhill Road, Dawley, Telford, Shropshire. TF4 3DG. Hiring a good website designer is no longer enough to guarantee a good website for your business. You need a fast, search engine friendly, optimised, branded and professional website just to get near the top of the pile. Dawley website design offers the above. Lawley, Telford based website design & website creation services. Address; Design Conscious (Website Design), 40 Glendale Gardens, Lawley Village, Telford, Shropshire. TF4 2RG. There are many aspects to consider about website design; it isn’t just about how the website looks, it also about usability, it’s about how it can be maintained and developed. Website design is also about marketing and getting results from your expenditure. Website design is also about knowing where to market your website (eg; don’t try and take on the world, compete locally - Telford for example). Website Creation Services in Telford. Address; FraggleWorks Website Design, Telford, Shropshire. FraggleWorks provides a professional consultancy service with a passion for web design. Our expert staff supply clients with an easily affordable and quality solution. With a wide variety services, we offer a creative web design service, internet consultancy and domain registrations to name a few. All solutions are tailored to client needs. Try their low cost business start-up package from only £299! Website Design - Website Creation in The Humbers, Telford. Address; Gasp Website Design, Lubstree Park, The Humbers, Telford, Shropshire. TF2 8LW. Gasp is a new media marketing and website design company specialising in cutting edge websites with style, interactive ﬂash animation, high end multimedia and robust database applications. This tied together with our deep understanding of the internet, latest website development techniques and search engine optimisation enables us to provide a full new media - internet service. Address; Goodhand Website Design, 4 Orchard Cottages, St Leonards Steps, Bridgnorth, Shropshire. WV16 4BN. Whether you need a web site to sell your niche product, to showcase your quality items or promote your industry-leading services, Goodhand Website Design can work towards a solution for you. Ketley Bank, Telford based Website Design & Website Creation services. Address; Griffmedia Website Design, 25a Weavers Rise, Ketley Bank, Telford, Shropshire. TF2 0EX. The Griffmedia Website Design team have access to a group of specialists in their field; including an award winning photographer, a graphic designer and others, all coordinated by a fully qualified CIW (Certified Internet Web master) Master Designer. Address; isev, Halesfield 21, Telford, Shropshire. TF7 4NX. isev Website Design nad developers are very experienced in working to tight deadlines and even tighter budgets. isev have worked on projects ranging from online shopping websites to large government websites (for DEFRA) providing event booking systems, surveys and research information. Jelly Graphics specialise in providing high quality and effective visual communications. They create above and below the line marketing solutions, across all channels. Based centrally in Shrewsbury, Shropshire, Jelly Graphics offer their design service to the surrounding areas; Telford, Wolverhampton, Wrexham, Oswestry, Chester, Nantwich, Market Drayton. However, they have clients all over the UK, from London to Edinburgh!. Jelly Graphics produce mock up designs at the start of any project to help visualise how the final design will look. Jelly Graphics will then add and amend details until you're 100% happy with your design. Hortonwood, Telford based Website Design & Website Creation services. Address; JSP Media Website Design, 21 Horton Court, Hortonwood 50, Telford, Shropshire. TF1 7GY. JSP Media Website designers are experienced in creating functional and easy to navigate websites and ecommerce trading platforms that are designed to be optimised fo search engines. JSP Media Web Design is based in Telford Shropshire and although many of their clients are based in Shropshire, Staffordshire and the West Midlands, JSP Media Website designers manage website hosting, customer websites and website marketing for clients across the country. Website Design and Website Hosting in Broseley, Telford. 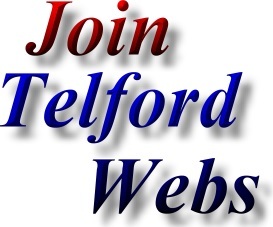 Address; Monthly Web, Unit 2, The Square, Broseley, Telford, Shropshire. TF12 5EW. Monthly Webs are experienced in working with clients from a range of different industries including Retail, Educational, Professional Services, IT, Sports and Leisure, Public Sector, Media and Communication, Building and Construction, Not for profit / Charity, Tourism and Travel, Automotive, Health and Beauty, Food and Drink and many more. Website Design and Website Creation Services in Donnington, Telford. Address; Silver Marbles Website Design, 19 Victoria Road Apartments, Wellington, Telford, Shropshire. TF1 1LT. Silver Marbles Website Design aims to achieve affordable web sites for small to medium or large businesses, giving 100% into design, programming, search engine registration and technical support. Silver Marbles Website Design will bend over backwards to get you started, offering quality Website hosting services for your domain name, email addresses and 24 hours website technical support either by email or phone. Website Design and Website Creation Services in Bridgnorth, Shropshire. Address; Teknotik Website Design, Tasley, Bridgnorth, Shropshire. WV16 4NJ. Website developer, Website builder and Website maintainer since 1996. With over 20 years experience within Music, Video and information technology. Website Services - Website Design and Website Creation in Stafford Park, Telford. Address; Vista Website Design, Suite 4, Stratum House, Stafford Park 10, Telford, Shropshire. TF3 3AB. Vista Website Design can design and build your website. Vista Website Design programmers have a combined experience of over 20 years developing corporate websites. Vista Website Design can offer you a fixed price website package based on our recommended layout and functionality which we can turn around very quickly. Priorslee (Telford) Based Website Design and Website Hosting Services. Address; Zoom Online Website Design, 8 Brookvale Road, Priorslee, Telford, Shropshire.